Today, having a responsive and reliable experience is the most basic expectations from a phone. Nobody has time, both your customers and employees, for bad user experiences. Only 75% of consumers would retry a mobile app once or twice if it failed to work the first time, only 16 percent would give it more than two attempts. Poor mobile app experience leads to aversion towards the app and contains users from using the app again. Hence you get one chance to hit the spot. So it’s an important decision to focus on the right platform before you jump into the development and start working on your app. Do you want to entice your users by building an entirely native application that integrates into the platform of their choice (Android or iOS)? Are you more interested in quickly developing a hybrid application which can be released across platforms? Let’s break down both of these approaches. The native app is a smartphone application developed particularly for a single platform such as Android or iOS built in the coding language that is promoted by their makers. Think Objective-C or Swift for iOS vs. Java or Kotlin for Android. 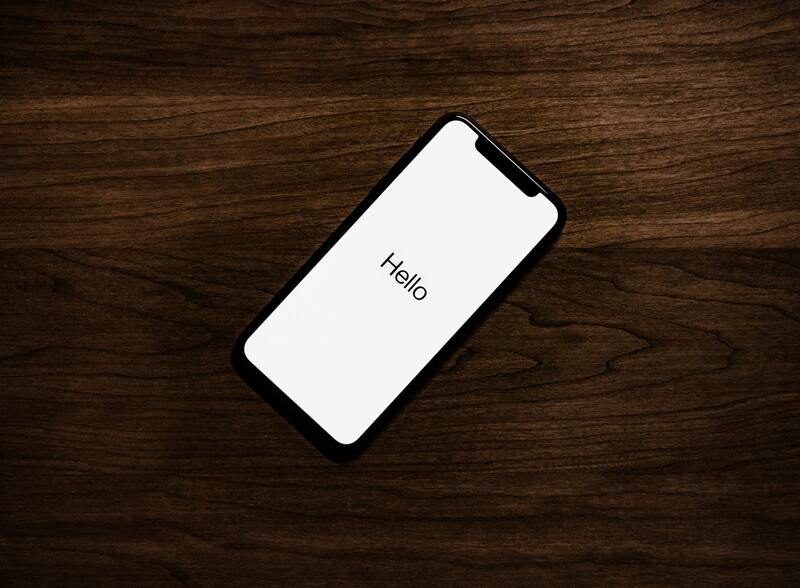 The native mobile app is developed within a mature ecosystem following the technical and user experience guidelines of the operating system and is native to the user’s OS. The in-app interaction has consistent look and feels with other native apps on the device. Thus the end-user will learn to navigate and use the mobile app more quickly. The native applications have the significant advantage of being able to easily access and utilize the built-in capabilities of the user’s device. Why go with native apps? Native apps can provide optimized performance and take advantage of the latest technology compared to web apps or mobile cloud apps developed to be generic across multiple systems. Native apps come with many functionalities offered by the mobile devices. For instance, a camera, GPS, calendar and a microphone. These apps help the developers build fully enjoyable experiences. The Native apps can also work without the internet connection. This is a huge advantage. There are a lot of challenges doing so with hybrid apps. The native apps are designed or developed for the specific operating system so they provide excellent performance. The look and feel of the native apps are eye-catching and inspiring — allowing users to connect easily and quickly to the icons and button. The native applications are developed for a particular platform (iOS and Android). They follow specific UX/UI guidelines for developers and are similar across apps providing an easy to understand and a similar user experience while navigating the apps. These apps are more secure and safe to use as they are accessible through the app stores. All the apps are fully tested and reviewed by the app store approval team and then featured in the stores for the users to download. This provides a certificate of reliability and assurance. When not to go with native apps? 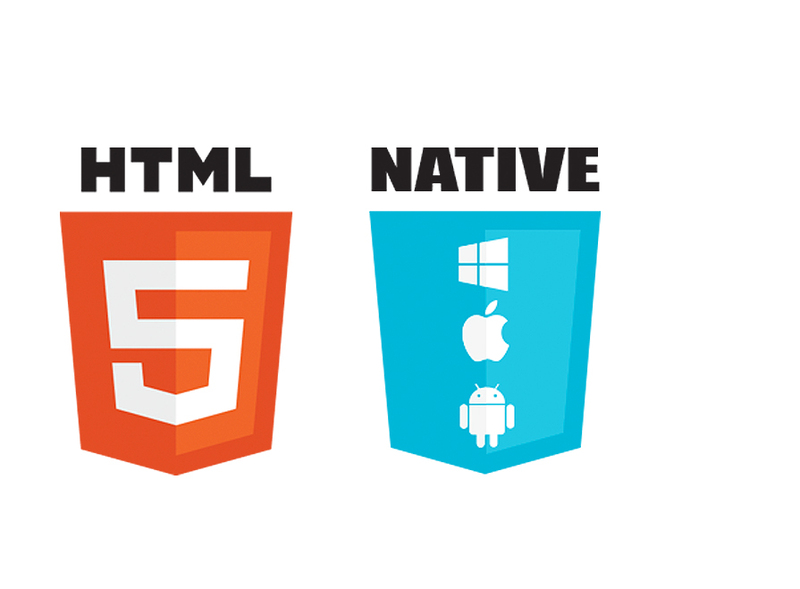 The native mobile apps have a different codebase for each platform. Lots of time and efforts are required for the maintenance of these apps because separate teams have to work and support each version natively. You can only publish your app on the stores if you get approval from them. The process can be complicated if your app is not built right and they find issues with it. The Hybrid app development approach combines prebuilt native containers with on-the-fly web coding. Why go with hybrid apps? It can save some upfront costs. Slightly faster to develop because you have a single code base. Only one app is developed for all platforms. If you want to launch quickly just to test your app. When not to go with hybrid apps? Typically, the hybrid apps are slower than native apps. The user-experience with of these apps can get clunky. These apps are dependent on a third party platform called wrappers. Less access to the native operating system sensors. Which one has better performance and User Experience – Native or Hybrid Apps? Performance and user experience is a very important factor in the success of any application. 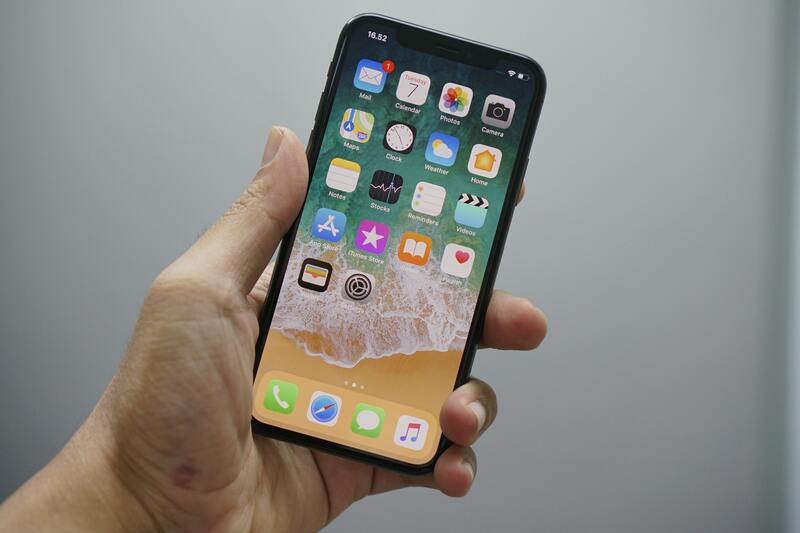 The psychology of a mobile user is straightforward: Users just want to keep using their phone in the way they believe all apps on their phone will operate from a navigational and interactive point of view. And the application’s controls, interactions, visual cues, and gestures must be seamlessly integrated with your platform’s extensive style guide. If your app’s user experience and performance are bad, the user will have some sort of a negative reaction to the app like from never using it again to giving a bad review and then jumping on to a competitor’s app. The native apps are faster and more reliable, As users navigate a native mobile app, the contents, structure, and visual elements are already on their phone, available for instant loading, and thereby providing a seamless experience. On the other hand, a hybrid app has only a wrapper that is downloaded to the user’s phone (which may or may not contain all the navigational elements) with most of the data being loaded from the server. It renders using its host platform’s standard rendering APIs enabling it to stand out from most existing methods of cross-platform application development. React Native has some clear limitations and some custom modules are missing, meaning that you might lose out on some of its time-saving perks. No Doubt, react native is providing pre-packaged elements but for certain things like push notifications, incorporating smartphone camera accessibility, sophisticated data handling etc you’ll still need an experienced developer taking care of these technical nasties. React native is an open-source programming language and praised for how relatively easy it is to learn (compared to platforms native to Android and iOS) but can react native be used for building successful apps? If you want to create an app with the User-interface that requires a lot of interaction, then React Native is most likely not the best choice for you. The messaging apps, which usually allow for a high degree of customization and have a lot of background processes going on at any given moment. Numerous apps are available in the app stores that can be specifically downloaded on iPhone or Android devices. One of the best weather app i.e Weather Timeline is only available on Android because it is developed using Java. Similarly, another app, Bear, a flexible writing app for crafting notes, prose, code and now sketches is natively developed for iOS only. These apps are coded separately for a particular platform and provide the excellent user with fast speed. When it comes to React Native, it allows for building a single app and releasing it for both Android and iOS which affect the user experience and performance of the app as well and for more complex apps (especially when it comes to the UI), you might be better off sticking to native languages. As we know react native is introduced only a few years back so the technology is still in development and has a lot of catching up to do. If you planning to build an app using React Native and want to maintain it over a longer period of time then you need to prepare for constant checking whether the platform has been updated and any new components have been added. Native app development environment provides the facility to access the APIs and access to other features provided by the mobile platform. And, there is no need to create an extra layer of mapping over the mobile app functionality that requires extensive core API access. Whereas, React Native does not support all the APIs that are supported in native mobile application development. The most used APIs are required to have the access to other APIs or functionality. And, all of this can be done using native modules. It’s easy to access other native mobile apps like calculator, via native app frameworks. In case of React Native, it does not provide the support for it, meaning that it has to be written as native modules or using a third-party library. As compared to Native app development, React Native has a smaller developer community and also has less number of libraries as well. In order to use the third party libraries developed for the native mobile app development, these features have to be written in a native module. The war between native and hybrid apps is continuous. Both have their pros and cons and so to get a final outcome is a difficult task. Before you head for anything it is always advisable to take some time and think about what you prefer more. According to one of the survey more than 80% mobile app users, have affirmed that they consider app performance as the primary standard for the app retention and the app engagement. Hybrid apps do save some upfront costs but may give you a headache in the long run. While Native ones offer the best security, user experience and smooth access to all native APIs. Your investment of money and time won’t go in vain with the native apps.